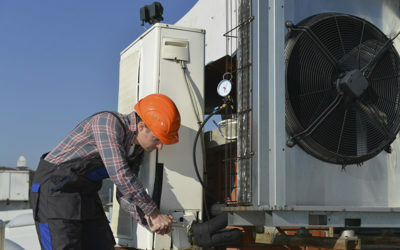 Commercial HVAC performs most efficiently with proper maintenance. Energy-efficient performance translates into lower utility bills. Because HVAC represents the lion’s share of your energy expenses, savings from efficient equipment operation can be substantial. Industry experts and commercial HVAC contractors agree that annual equipment maintenance is the best insurance against service interruptions. Studies show that up to 95 percent of equipment breakdowns and HVAC repairs are directly attributable to a lack of proper maintenance. Proper commercial HVAC maintenance can reduce operating costs by up to 40 percent. Fewer HVAC repairs and fewer equipment breakdowns not only cut costs overall, but they also help your business to function smoothly. That keeps customers happy and employees on track. Commercial HVAC can last 20 years or more with proper preventive maintenance. Proper commercial HVAC maintenance means that the unit gets professionally serviced at the same time every year. Improper maintenance, also known as “run-to-failure” maintenance, is performed only after a unit has broken down completely. HVAC that’s barely maintained might last seven years while “run-to-failure” systems last for about five years. Optimized HVAC performance means consistent indoor temperatures and balanced humidity levels throughout a building with no hot or cold spots. Healthy indoor air is also a feature of optimized indoor comfort. Air is clean and fresh with no foul odors. 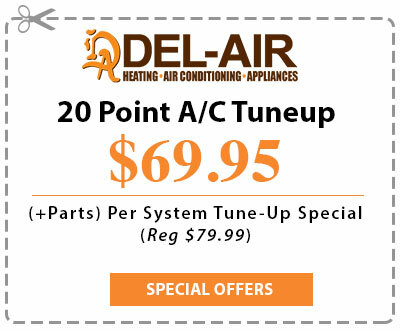 As an established commercial HVAC contractor, Del-Air Heating & Air Conditioning provides proper preventive commercial HVAC maintenance plans for Sanford, Florida, commercial buildings. Visit us online to learn more, or call us at (844) 574-4578 for detailed information.